You know what to do :) I apologize for the rather meager content of this one - it seems a bit lean compared to previous months, and clocks in at about five minutes less. As I explain in the beginning, this is mostly due to the fact that close to half of my month was focused on supporting the recent Limit Theory Prototype release, and pushing out the first major round of bugfixes. Although it inhibited the development of "new" content, it's great that we're already getting rid of some of the bugs (and accumulating loads of suggestions)! As you know, shiny progress absolutely demands screenshots! They've been in hiding. Not anymore! The jump hole is a thing of beauty. But it's not so much the anomaly itself. It's what it represents. On the other side, a whole new world awaits. And in that world, more jump connections to other worlds. And so on, to infinity. How far to go? How many worlds to cross? How lost to become? Hard questions - you must face them on your own. But whatever you decide, the jump hole won't stop you. It's all progressing soo fast! 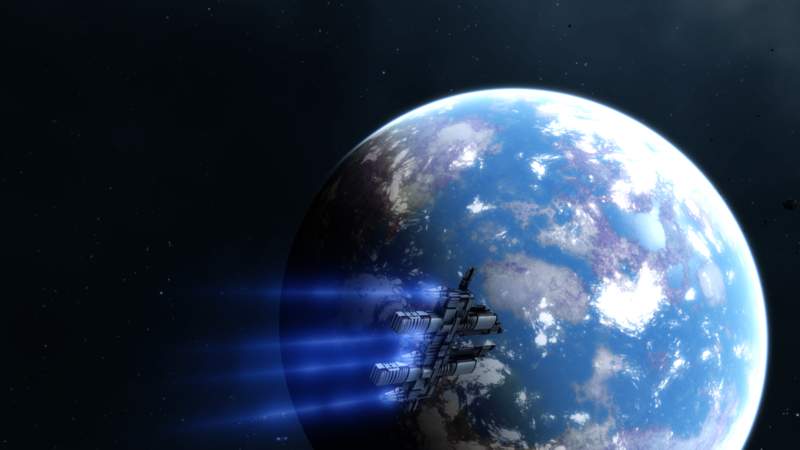 I'd love to see a "look at" object functionality implemented (as done in eve-online) as well as a reset camera option to set the camera back to a set state on your ship. Keep up the great work. I'm loving the graphical upgrades each month, something you can't really see in the RSS dev logs. Josh, the warp holes look gorgeous; love the shimmering effect. Nice work, keep it up! Beautiful work, but I'm torn between watching the progress or avoiding 'spoilers'. Hope the planets gets bigger. Hi Josh. Thanks for the update. It is looking great already this early! I especially loved the planetary detail. Just want to echo some others in saying that the scale of planets needs to be upped (or the scale of other objects like stations, ships, asteroids, etc. needs to be lowered) so as to make them appear more realistic. Again, the music is wonderful, so hypnotic and mellow, just love it. Backgrounds look awesome, really like it. I especially love the fact that you made it possible to disconnect the camera from ship (at least to a degree); it will add a great deal of immersion and depth to the gameplay I believe. Thanks again for the update and keep up the great work. @Barry I also agree with your comments on scale, and I'm glad someone else has brought it up. Suspension of disbelief for gameplay's sake is all well and good, and the texturing/graphics are grand, but the size of the planet (in the posted video) just looks plain wrong. It's tiny! It should takes minutes to cross its diameter in the ship demonstrated - not that the ship should be slow, but the planet should be immense! Also, there appears to be a large emphasis on admittedly very attractive nebulae backgrounds. 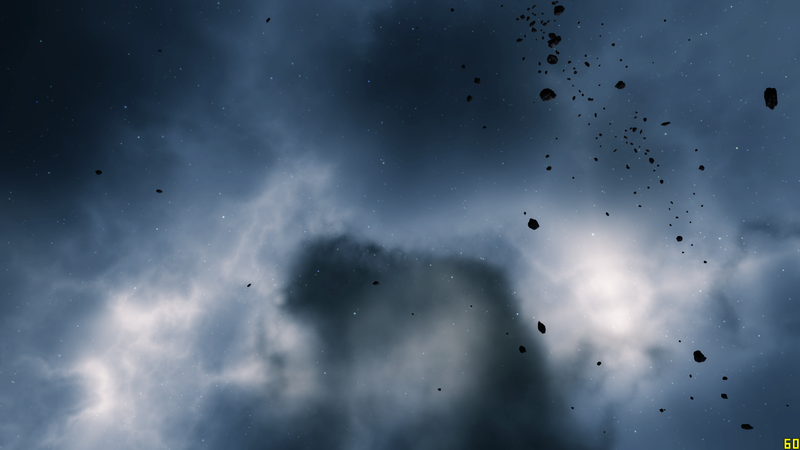 It would seem to me that if every system has such "full" nebulae backgrounds, they will become less special and actually become quite run-of-the-mill; i.e. a blue system, a red system, a green system, a yellow system etc. ad infinitum. I would think variances in nebulae to starscape ratio would be more interesting, so that nebulae-heavy systems would be less common and far worthier of note – really giving you a “wow” moment as you jump in. A further point on that, would it not be logical (not knowing scales between star systems) that nearby systems/clusters would share a nebulae colour palate, and be easily differentiated from one another by a varying ratio of nebulae background and starscape background? And as to the update in general, it's all great looking stuff. Keep it up! @Barry 2500km is the radius of Titan with an atmosphere thicker then earth, in other star systems or other conditions much smaller planetoids could also sustain an atmosphere. The three factors involved are distance from the sun, magnetic field and gravity. In theory a very small planetoid with high density (high gravity for it's small size) that sits far from the sun, and has a protecting magnetic field could very well retain an atmosphere just like earths. I do agree with your nitpick about scale though, there are a few ways to stop the scale difference to be so apparent (more details about this in posts on the LT forums). With current scale the most massive capital ship would probably end up with similar size to the planets! Great Update Josh! I really enjoy your monthly updates and the progress from time to time get's better. Keep your dedication and this is going to be a superb game! 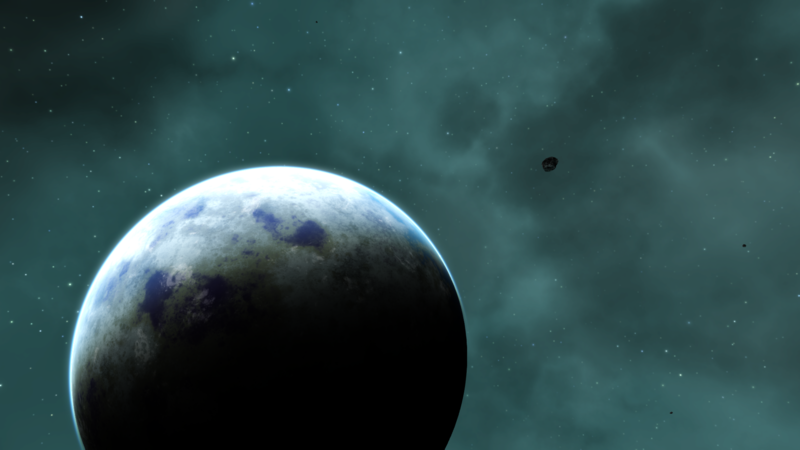 One minor nitpick, though - it seems like the scale of planets is kind of unrealistic. Spherical planetoids are going to have a radius of 300 km or more, and planetoids with atmosphere are going to be 2500 km or greater. What radius are you using for your planets currently? I understand that some realism goes out the window because making space flight sims too realistic tends to make them unwieldy, but it would be interesting to at least see what it would look like to make the proportions all realistic. Would it be possible to view the destination system through the jump gate in the future? @Kahuna. Probes would be awesome yes. Fantastic as ALWAYS Josh ! Good on you ! I second the guy below that it would be cool to shoot out probe modules into deep space that collect data on potential points of interest or to scan planets surface - like in Star Wars when they're looking for the Hoth base. 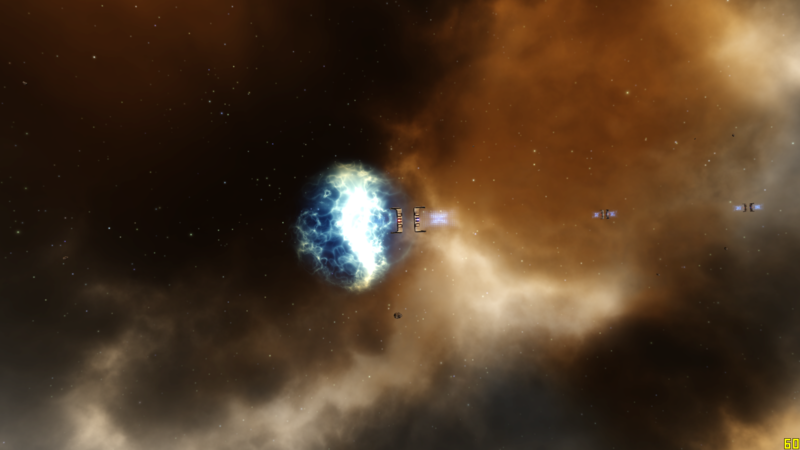 Just an idea: maybe colour the warp gates with the colours of the nebulae in the systems at the other end of the gates? That looks amazing. Well done! Great stuff as always. I hope not every major POI will be connected by space lanes. That would allow for some genuine exploration. Maybe even using specialised modules like probes or scanners? Just imagine hunting down a pirate hideout or alien relic... Yum. Even if it's just another asteroid base maybe the prices would be worth the hassle? Also, obviously this would give lightly armed scout type ships a reason to exist even if you have access to bigger hulls/weapons. Even if it's only a tradeoff between scanning capability and offensive or defensive systems it would add a lot of customisation to the game. maybe even allow for player-built space lanes? I'd imagine that would be really neat for merchants. Also, good to hear about that jump drive / warp gate distinction. I'd like to think jumping to another system using artificial means would need egregious amounts of energy and other resources. Great to see Josh agrees. Maybe we can get a cool extended jumping sequence with the carrier/mothership/etc powering down all nonessential systems and then spinning up its jump drive, leaving it vulnerable upon entry and exit for a short amount of time. Which in turn would be a neat thing for NPC/Player pirates provided they can get to the jump point in time. Probably a PITA to balance though. Also important: will we be able to take other ships to the destination, or will a jump drive be required for every ship? Or will that depend on the jump drive and resource usage? So many possibilities. So many questions. I'm looking forward to every dev update. They're always very engaging. There is a big difference on the ships between last month and this month. Even if you downplay it, the additional structures on the ship surface make it really really looking good. Thanks for all the eye candy Josh. You know how much I have been looking forward to this part of LT development. Outstanding quality that makes any explorer type very happy. Looking forward to getting lost in space. Those new graphics look amazing! That does look incredible but i do wonder how you will get around the issue you experienced with navigation with jump gates and flying in circles. also when using warp lanes it was sort of jarring when you arrive at your destination, maybe the last warp lane gate could slow you? @KahunaKevin - Beautiful footage! I will keep it around for reference material :) Those auroras are stunning..
Two ideas for planets I really hope you include... Storm effects within cloud masses, either real-time twisters, or random flashes causes by electrical storms. Some of the coolest NASA footage is hi-res video of Earth storms viewed from space. Check out a few videos for reference and add this to planets, completely at random of course like everything else!